Citing multiple sources, ESPN's Brett Okamoto reported Tuesday night that UFC light heavyweight champion Jon Jones' B sample has also tested positive for a banned subsance. MMA Fighting also confirmed the news. 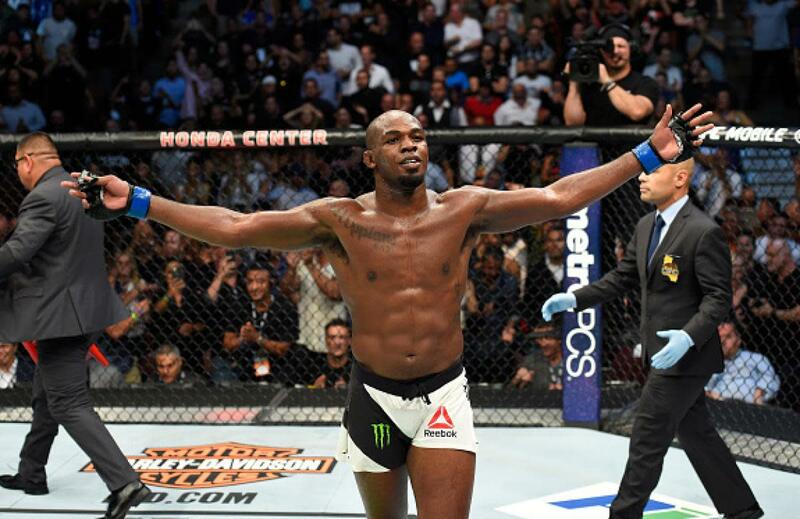 In late-August, TMZ reported that Jones had tested positive for the anabolic steroid Turinabol from a sample taken on July 28th. He and his team denied Jones had knowingly taken anything and there was hope the B sample might show something different. Alas, that apparently wasn't the case. After additional due process, Jones will await punishment from both the California State Athletic Commission and USADA that could see him out of action for up to four years, a crushing blow to a career that looked to have been revived after his big knockout win over rival Daniel Cormier at UFC 214 -- his return after a year on the shelf due to taking estrogen blockers. Jones can appeal any rulings. As of now, he has yet to be stripped of the title. After the Cormier win, Jones was setting up a fight with WWE Universal Champion and former UFC heavyweight champion Brock Lesnar for the future -- a fight that seems to be all but dead as of now.